At one time, root cellars were a common part of life. It was an essential part of nearly every home before you can purchase fresh produce all year-round. If you purchase an older home, you might even have a root cellar now. Believe it or not, there are several foods you can store in a root cellar. Root cellars are of benefit for preppers, especially if you produce more than what you can store in your refrigerator or canning shelves. 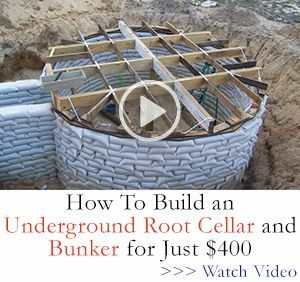 A root cellar already in place is the perfect asset for a homesteader or prepper! Storing food with any electricity for months at a time is a lost art, but you can revive that skill. 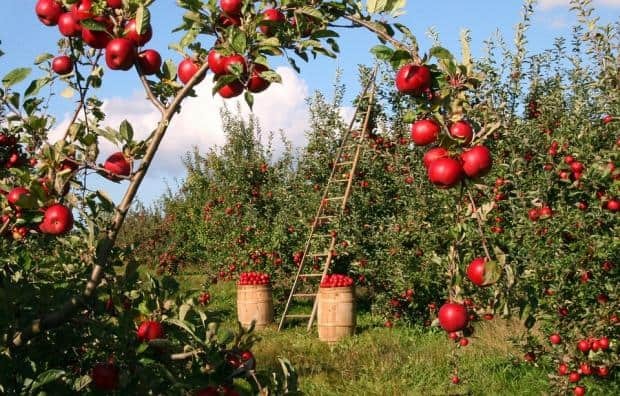 Apple trees are a great addition to your homestead. Even if you don’t have your own apple trees, chances are you can find a local orchard where you can purchase pecks of apples cheaply. Some varieties of apples store better than others in a root cellar, especially tart apples. Sweet apples don’t tend to last as well. Great choices are Fuji, Honeycrisp, Pink Lady, Rome Beauty and Yates. When you store apples, make sure that you pick mature, unblemished apples. Each one should be wrapped individually and stored in a cardboard box. You can also make wooden apple crates. When you harvest your beets, make sure that you pick a day when there have been several days of dry weather. The roots should be at least two inches in diameter for ideal root cellar storage. Before storing, remove the greens, along with one to two inches of the top of the root. Don’t damage the root tip at all. 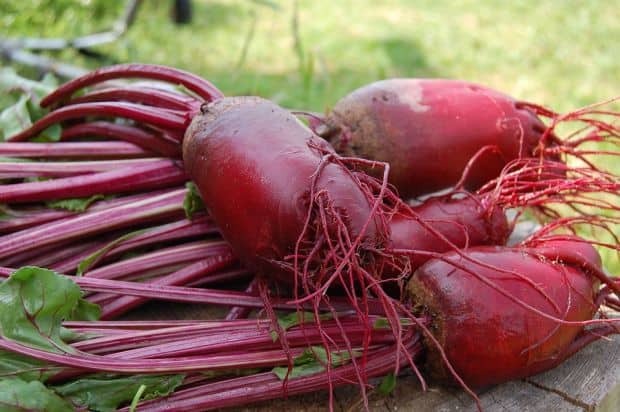 Gently brush off the extra soil, but you don’t want to clean the beets thoroughly. They should be stored in a container, plastic is best, and layered in either damp sand, sawdust or peat mass. A lid on the container will help to keep the sand moist. If you don’t want to use sand, a wooden container will do just fine. Make sure the beets are not touching; you risk spoiling them! Cabbage is a great candidate for long-term root cellar storage. Select firm cabbage heads to store. 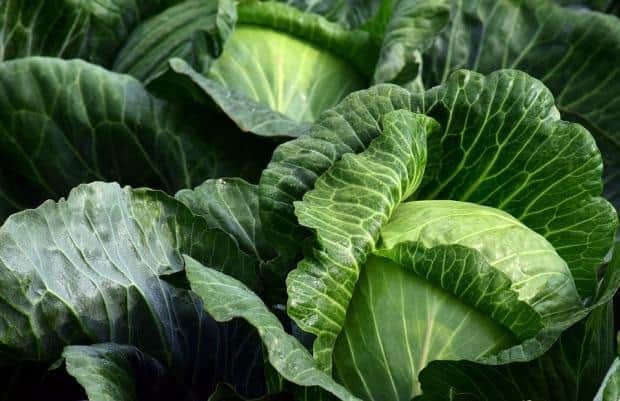 If you are planning to store your cabbage with this method, red cabbage typically does better, and late varieties are better for storage than early varieties. Harvest should take place after the first frost. Pull the entire plant out of the ground and trim off the outer leaves. For storage, you have a few options. First, you can create outdoor storage pits or use garbage cans. Some gardeners prefer to keep cabbages outside because the odor tends to take over your root cellar. The flavor of cabbage stored inside can influence the flavor of other produce, such as your carrots and apples. Another choice is to wrap each of your cabbage heads individually and store on a shelf in your cellar. Make sure to leave a few inches between each cabbage head for ideal storage. For centuries, carrots have been a staple on the dinner table, partially due to their ability to be stored for months after harvest. 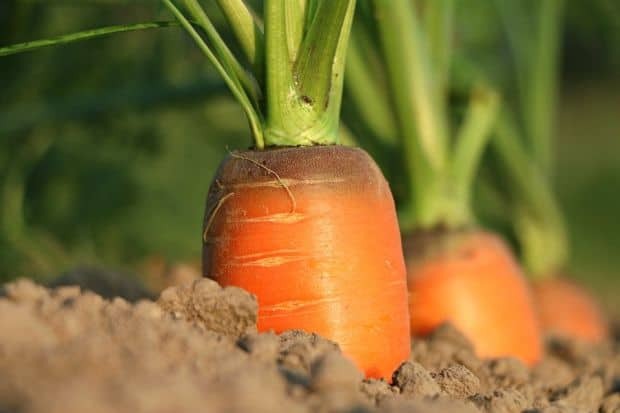 Carrots are a root crop and can store for up to six months! Make sure to harvest them before the first frost. Your job becomes harder after that. Cut off the carrot greens or snap them with your hand. Make sure not to leave the greens on your carrots because it can remove moisture. For ideal storage time, layer a box with moist sand, peat or moss. Then, place the carrots in layers, separated with the material you chose. Garlic can be planted for a fall or spring harvest. The garlic heads should be a nice size, but you need to harvest before the bulbs start to split. Dig up your bulbs and remove any loose soil, shaking gently. You don’t need to scrub; a bit of dirt won’t hurt anyone! The first step is to cure your garlic for 10 to 14 days in a well-ventilated area, such as your basement or even your kitchen. However, the bulbs must stay dry and out of the sun. After curing, braid the tops of the garlic together and hang. Some people remove the tops and store in mesh bags. The most important thing is to keep your garlic heads dry. Moisture will cause the bulbs to sprout, and you will lose your harvest. When properly stored, garlic lasts 5 to 8 months! Leeks are root cellar hardy, capable of storing for 3 to 4 months. First, add mulch to your garden until your first hard frost. Then, dig up the leeks, keeping them in intact. However, some gardeners do have success leaving them in the garden if heavily mulched. For root cellar storage, store them upright in a bucket of sand or soil. Some of the best varieties for storage are Arena, Elephant, and Zermatt. Onions, just like garlic, are ideal choices for root cellar storage. After harvesting, you have to cure the onions by putting them in a newspaper or a screen, in a dry location, for 10 to 14 days. Make sure the onions are out of sunlight! Then, remove the tops about one inch above the onion itself. To keep your onions in the root cellar, they must be kept in ventilated containers. Choices include net bags, paper grocery bags, and pantyhose. Chances are you have seen pictures of onions dangling from the rafters in pantyhose, a nostalgic scene. Don’t pick anything made of plastic or that cannot breathe. 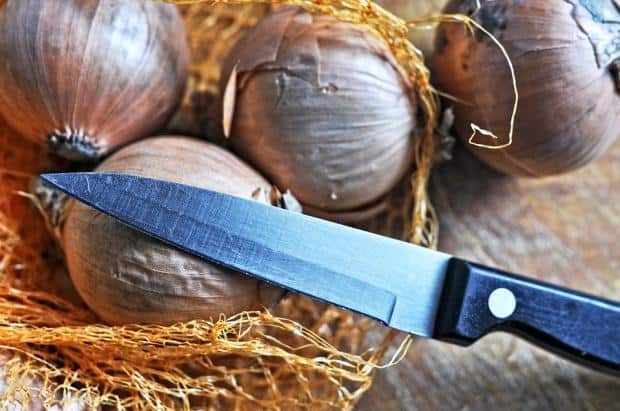 Just like garlic, onions must be kept in a dry location. If kept dry, the shelf life in the root cellar is 5 to 8 months. Pick varieties that store well, such as Brunswick, Norstar, Red Burgundy, and Yellow Globe. 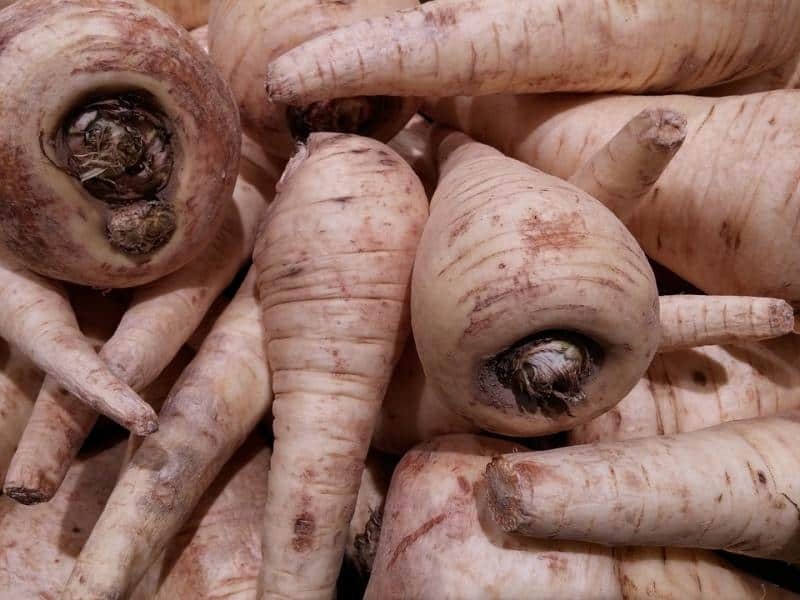 Parsnips tend to be a less popular root crop in today’s culture, but you can expect them to last for about two months in your root cellar. The best choice is to leave them in your garden with a heavy layer of mulch. However, if you enter a period of freezing and thawing, it is time to harvest because parsnips don’t enjoy that type of weather. To store in your root cellar, remove the tops and layer in a box with damp sand, peat or sphagnum moss. Parsnips store very similar to carrots, just with a shorter shelf life. Here is another fruit that you can keep in your root cellar. Pick only the unblemished, bruise-free pears for long-term storage. 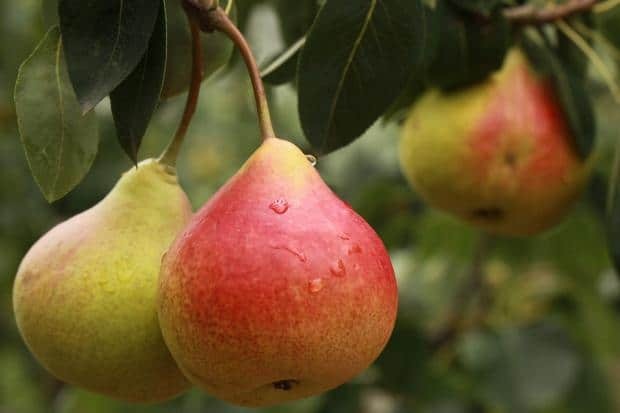 To keep pears for long-term, the cellar must be between 29 to 31 degrees F. Each pear must be wrapped in newspaper, then stored in a wooden box. A cardboard box could work as well. Line each box with plastic. When you think about a veggie that stores for months, potatoes might top your list. They can last for months in your potato box or your cabinets. 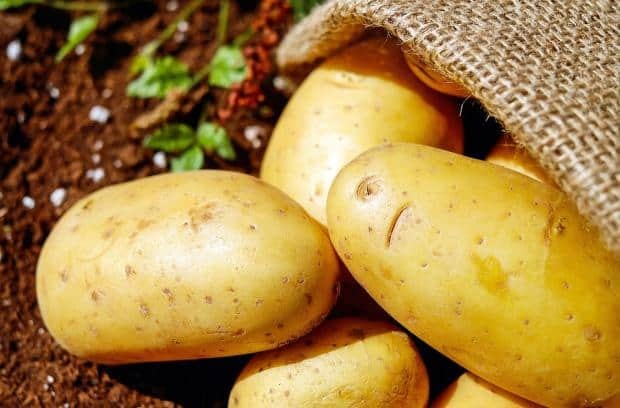 Harvest your potatoes once your plants have died. Before long-term storage, cure them in a dark place between 45 to 60 degrees F.
After cured, the ideal temperature is 40 to 45 degrees F, lasting 4 to 6 months. You don’t want to store potatoes in temperatures too low because they can change the flavor. Temperatures too warm can cause them to sprout. Yukon Gold, Red Pontiac, All Blue and Kennebec are great choices! Pumpkins store for 5 to 6 months in ideal conditions. They need to store well; pumpkins are iconic for fall and early winter snacks! It is crucial that you harvest pumpkins before the first frost, which can damage the rinds of the pumpkins. Cure the pumpkins at a high temperature, typically 80 to 85 degrees F for at least ten days. Once cured, pumpkins should be stored on hay or any material that allows air circulation around the entire fruit. Check the rind for any blemish, which could lead to spoilage. Damaged pumpkins spoil quickly and will cause neighboring pumpkins to go bad. Make sure to check your cellar often. Another root crop for storage is rutabagas. Just like carrots and parsnips, you want to layer them in a box with damp sand. The sand needs to stay moist for them to last the maximum time. However, many people store rutabagas outside because they release unpleasant odors. American Purple Top and Laurentian are two great choices! Relative to regular potatoes, sweet potatoes are an obvious choice for root cellars. Harvest time is in late fall. Pick only undamaged potatoes for long-term storage. Gently brush away excess soil and prepare for curing. Just like regular potatoes, sweet potatoes need to cure in temperatures between 80 and 85 degrees F for five to ten days, with high humidity. After you cure your sweet potatoes, transfer them to a dry storage area with temperatures around 55 to 60 degrees F. Some people also wrap their sweet potatoes individually in paper. Either way, store your sweet potatoes in ventilated boxes. You can expect your sweet potatoes to last 4 to 6 months in proper conditions. Are you surprised that tomatoes are on this list? Aside from canning tomato products, tomatoes can be harvested before ripe and then left to ripen in storage. Some varieties do store better than others, so consider that when making your choices. There are several ways to store tomatoes. The first choice is to remove the entire plant and hang it upside down inside. Another way is to wrap each green tomato individually. Either way, you want to store tomatoes in a location that is around 55 degrees F, which lets them ripen slowly. Green tomatoes will last one to two months, but varieties meant for longer storage can last for 4 to 6 months. Turnips are just like carrots, parsnips, and rutabagas. Once you understand how to store those varieties, turnips are easy! You should store them in layers of damp sand. Storing outside also helps to avoid odors. You can expect properly stored turnips to last 4 to 6 months! Squash such as zucchini won’t store well, but winter squash can last 4 to 6 months. Varieties such as Acorn, Butternut, Crown Price and Delicata are great choices. 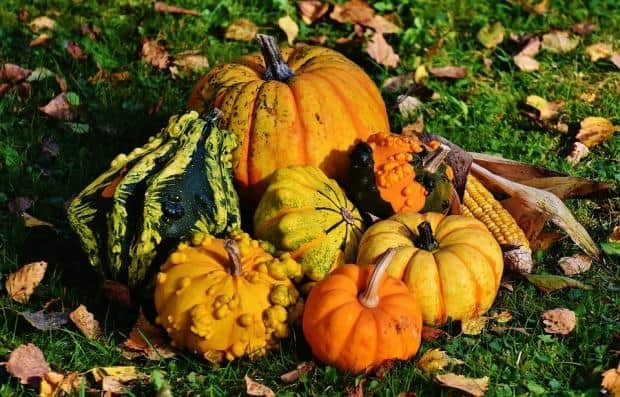 All squash, minus acorn, need to be cured just like you would a pumpkin. Curing maximizes the lifespan! 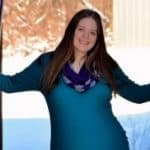 No matter what you decide to store in your root cellar, some pieces of advice will make the results better. These tips will help keep the food preserved until serving time! Bruised fruit will spoil fast; pick only your best fruits and vegetables! Check your stored produce throughout the year. If one starts to spoil or go bad, remove it immediately. Spoiling can encourage spoilage in other foods nearby. Harvest your fruits and veggies during dry weather for best results. 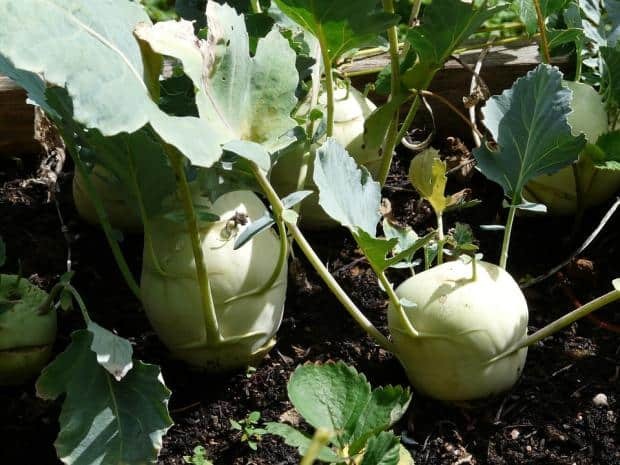 Keep your root vegetables in the garden for as long as possible. However, remove them before hard frost hits. It’s best not to clean root vegetables before storage. Just remove large clumps of soil. 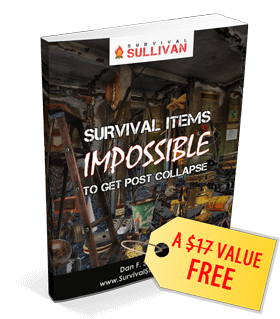 You can find even more tips here. A root cellar is a great addition to your homestead or survival plan. These simple structures allow you to store food without electricity for months at a time. Learning what fruits and vegetables store well in a root cellar allows you to pick the plants for your garden wisely. 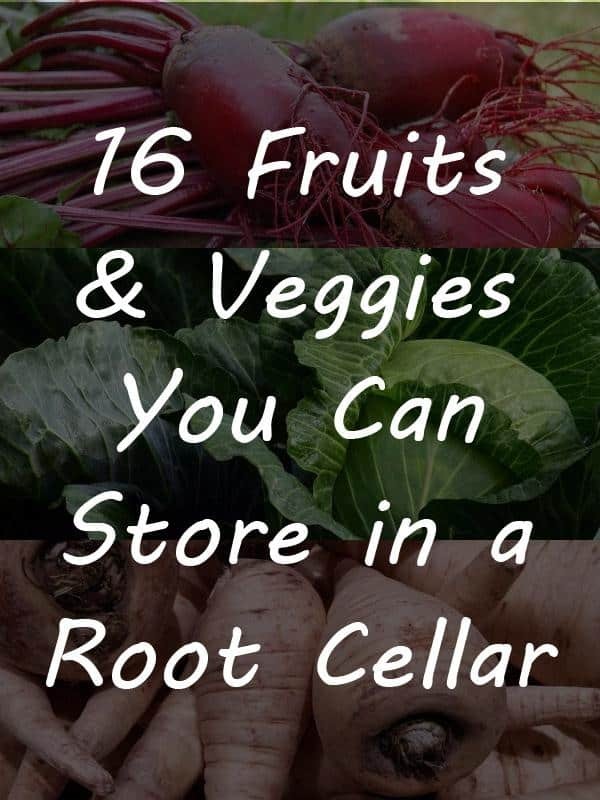 Do you have a root cellar? We would love to hear your experiences. Thank you for the interesting and informative site. There are times though, when I think that you are only “cut and pasting”! Best of luck storing and eating the leeks pictured in the root cellar article. Those are “house-leeks”, a decorative plant, but not one I would want to rely on if starving. To suggest storing sweet potatoes in a root cellar at 55 to 60F begs the question “why have a root cellar?” As this is normal room temperature for many, and far higher than I would hope for in a cellar. Cutting and pasting is a pretty serious accusation. 🙂 The leeks photo is just something I picked up from a photos website, it was not submitted by the author. 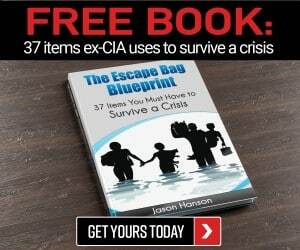 This is actually very timely! I am choosing my plant varieties now, so I will look for varieties that keep better. I think with your information I will give it a whirl this year! We keep both regular potatoes and sweet potatoes much long than the times listed. On regular potatoes, the variety that keeps the longest is Yukon Gold.